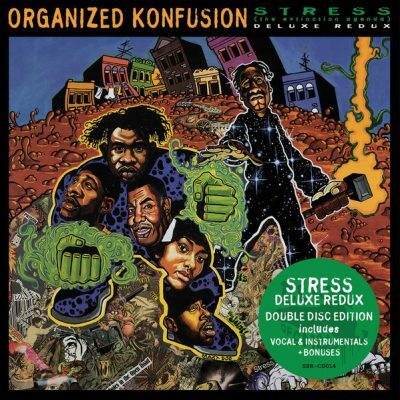 9 comments "Organized Konfusion – Stress: The Extinction Agenda (Deluxe Redux) (2xCD) (1994-2017) (FLAC + 320 kbps)"
Links are working very well for me. Please reup on uploaded or zippyshare. Such a great album with the instrumentals as a phat bonus! Could you please make it downloadable via Uploaded or Zippyshare? Much appreciation in advance. P’s! The links don’t seem to be correctly working for me either. Links are working for me fine. Do you have premium account on datafile? yes. I got an error on these files and another random one a few days ago. I can’t remember which. Never had a problem with other ones before. It’s for all 4 links. No problems with other stuff on the site since.